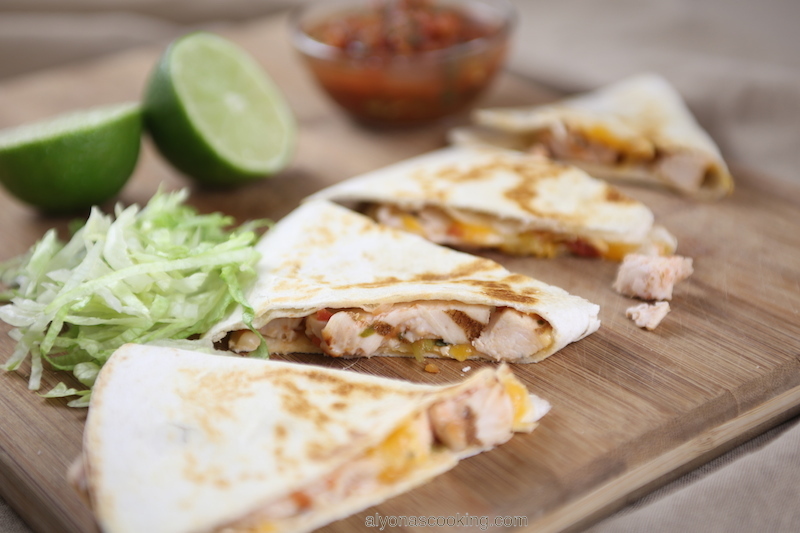 Chicken quesadilla’s got even easier to make… No sautéing, no cooking any ingredients, no big list of ingredients. 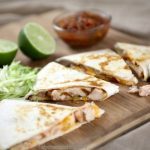 All you need is tortillas, grilled chicken pieces, fresh salsa and cheese to make incredibly delicious restaurant style quesadillas. 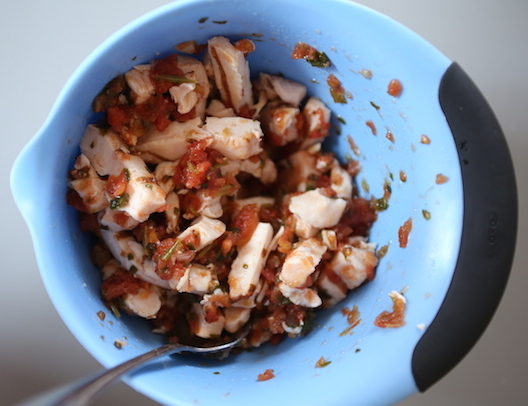 Combine 1 cup of salsa and the chicken pieces. Set aside. 2. 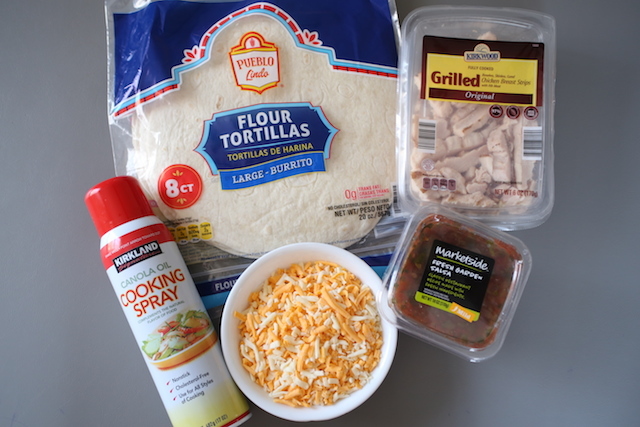 Place a few heaping tbsp of the chicken/salsa mixture onto the lower half of a flour tortilla (3-4 tbsp.) 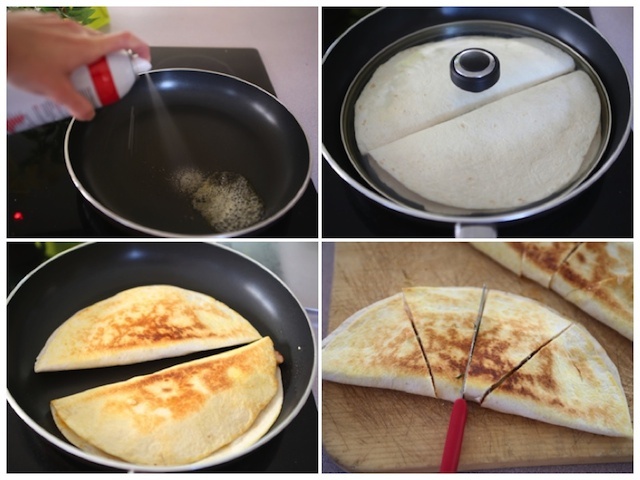 Then top with a handful of cheese and fold tortilla in half creating a half moon shape; set aside. 3. Preheat a large non-stick skillet over medium- low heat. 4. Spray skillet with cooking spray and place two tortillas into the skillet; cover and heat through on each side until cheese melts and exterior is golden. 5. Slice each tortilla into 4 pieces and serve with the remaining salsa. 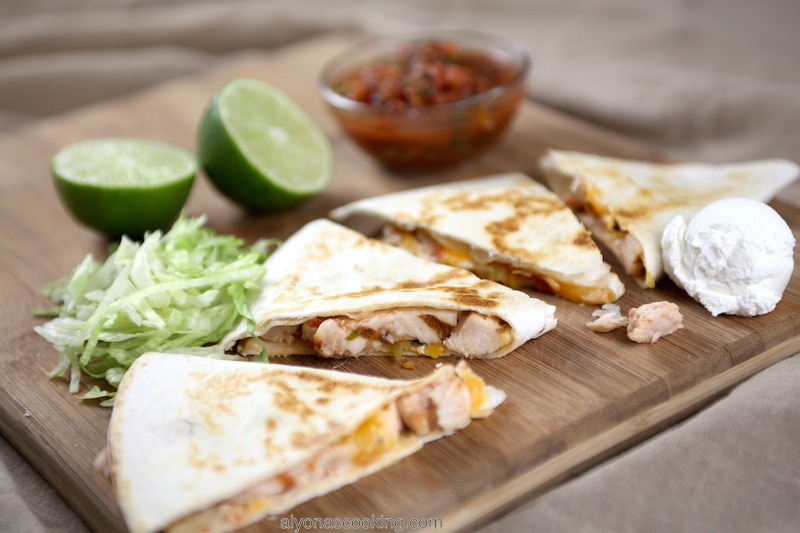 Place a few heaping tbsp of the chicken/salsa mixture into the lower half on a flour tortilla (3-4 tbsp.) 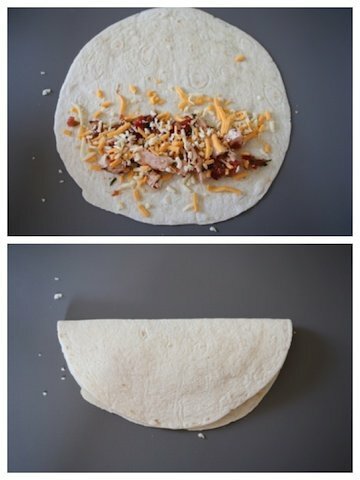 Then top with a handful of cheese and fold tortilla in half creating a half moon shape; set aside. Preheat a large non-stick skillet over medium- low heat. Spray skillet with cooking spray and place two tortillas into the skillet; cover and heat through on each side until cheese melts and exterior is golden. Slice each tortilla into 4 pieces and serve with the remaining salsa.